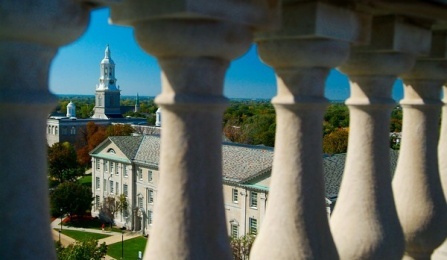 We offer key strategic services in support of UB 2020, which restores the classic collegiate beauty of South Campus and gives it a new role as a center of professional education. The UB Foundation plays a vital role in helping UB establish, enhance and expand its global reputation. We are proud to support and promote UB’s activities and programs by assisting in the acquisition of strategic assets, managing and providing resources, and providing an array of services for the UB community. The first of our affiliates was chartered by the Regents of the State of New York as a nonprofit educational corporation in 1962—the year that the (formerly) private University of Buffalo became part of the State University of New York (SUNY) system. Throughout the years, we have continuously focused our efforts on helping UB grow into a premier public research university, the largest and most comprehensive campus in the 64-campus SUNY system, and one of just two SUNY schools belonging to the prestigious American Association of Universities (AAU). Like most foundations at leading public universities, the UB Foundation is a private, independent organization. This relationship allows us to strengthen UB’s ability to attract top faculty and students, and gives the university the flexibility to respond quickly to changing market conditions. While our trustees and directors are completely independent of the state and SUNY in the exercise of their fiduciary responsibilities, we are committed to operating in a manner consistent with the policies of the University at Buffalo and the SUNY Trustees.